We have already worked with several small and medium sized businesses to improve and optimise their web presence. Mums The Word is a well established nanny recruitment agency which is based in the Oxfordshire area. With branches throughout the country, Mum’s The Word wanted to increase business through the franchises, as they were finding most visitors were landing on their home page. This was achieved through a thorough analysis of their website, extensive keyword research and on site optimisation which has resulted in a 40% year on year increase in traffic. 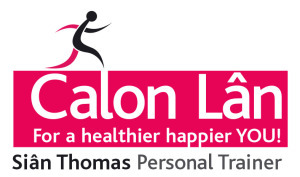 We helped Calon Lan Personal Training to set up and optimise their website, which helped to establish the business in this crowded market place. As a small and local business, we were able to target a specific regional area for Calon Lan PT. This helped to increase their customer base to such a point where they needed to set up a waiting list for new clients! JBouquet is a massage therapist business offering a range of treatments and therapies. We designed, optimised and launched a fully responsive website to help establish a web presence for the business.